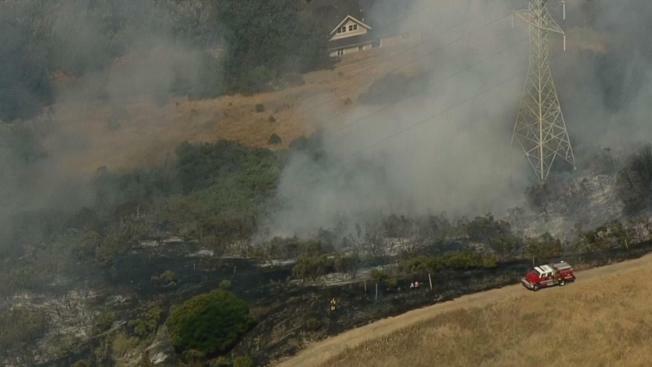 A four-alarm brush fire threatened structures in Moraga Monday afternoon. The blaze burned on a hill behind Campolindo High School on Moraga Road. Officials reported the fire burned at least 16 acres and was contained in the evening. Residents on nearby Hansen Court were told to shelter-in-place while crews battled the fire.